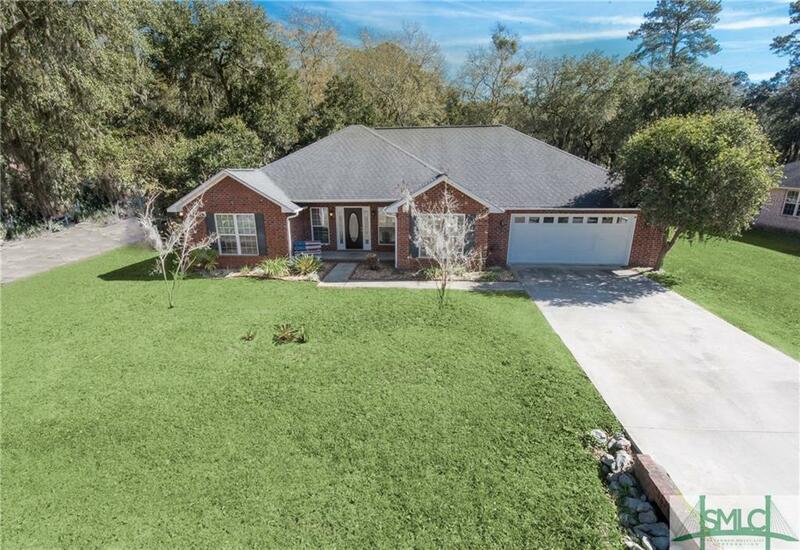 All one story, full brick with formal dining room that could also be a living room, music room or office. The split floor plan offers a master on back right wing, two bedrooms on the left wing with their bathroom and one separate bedroom and bath on the back left. No carpet in this house! 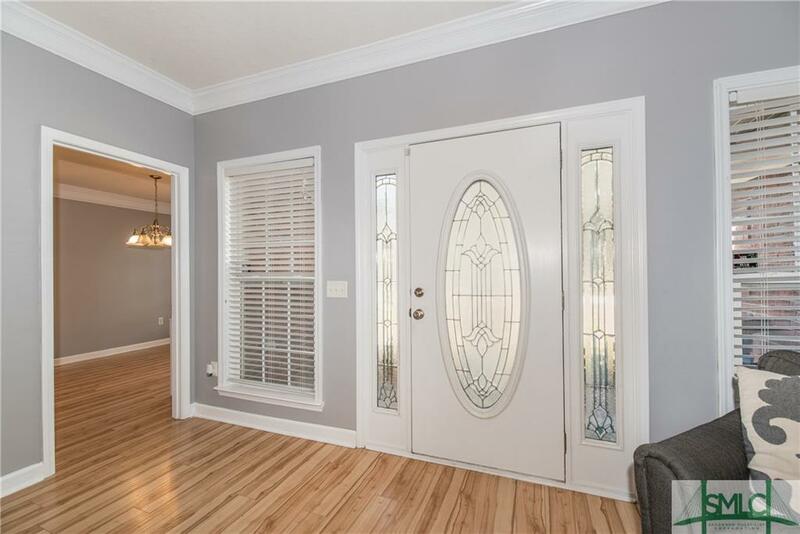 Fresh paint, fenced back yard, architectural shingles, keyless entry garage door with insulated garage doors, laundry sink, separate laundry room with laundry sink where you do not have to walk through the laundry into the house from garage. Large master bedroom with tray ceiling, large master bathroom with walk in closet, his & her sinks, soaker tub & separate shower. Fenced back yard with lots of tree canopy. 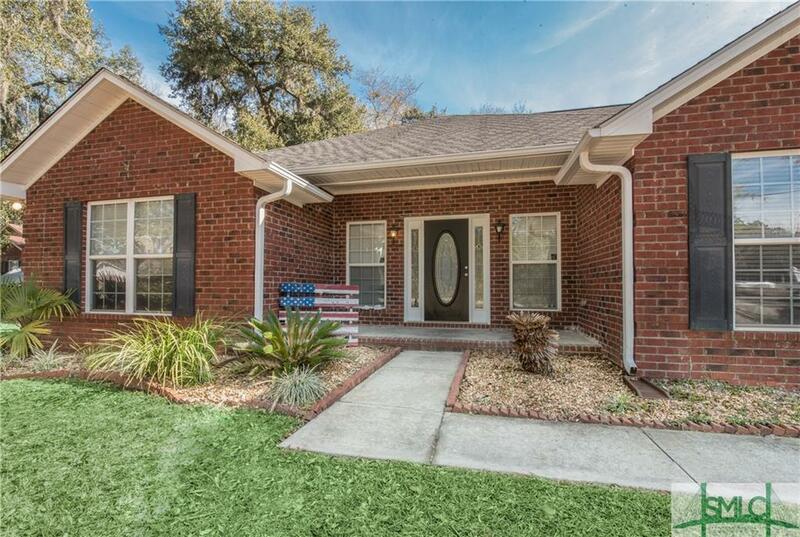 Gutter & covered back porch with extra back yard pavers for your next back yard barbecue. Lake Gale offers community bass fishing (non-motorized boat motors) just steps away from the property for a minimal membership fee. Boat, work truck or RV parking allowed. Come live the coastal lifestyle! 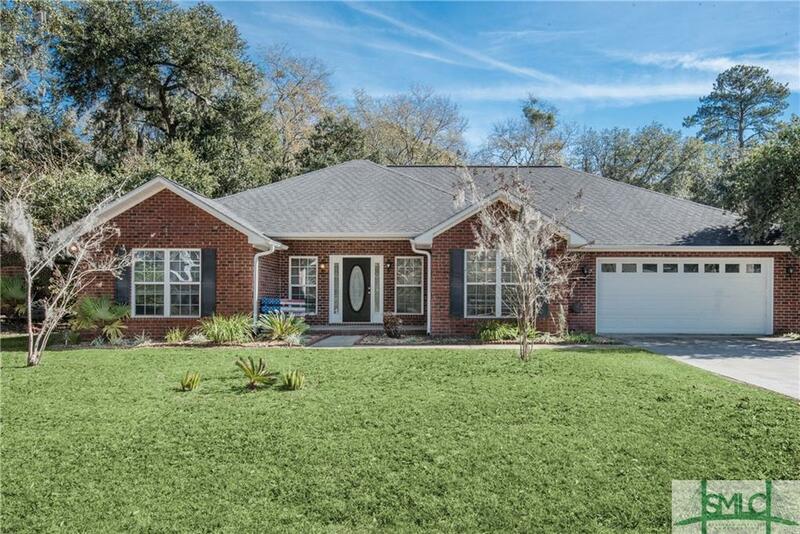 Listing courtesy of Melanie D. Kramer of Keller Williams Coastal Area Partners. © 2019 Savannah Multi-List Corporation. All rights reserved.